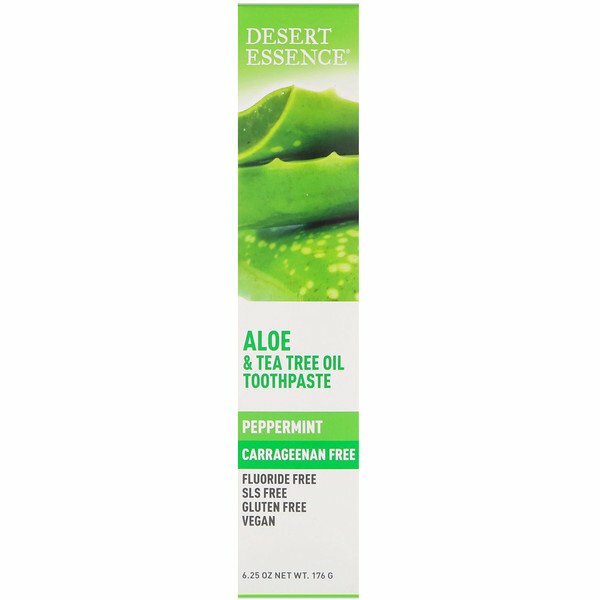 Keep your mouth healthy and your smile bright with Desert Essence Carrageenan Free Toothpaste. 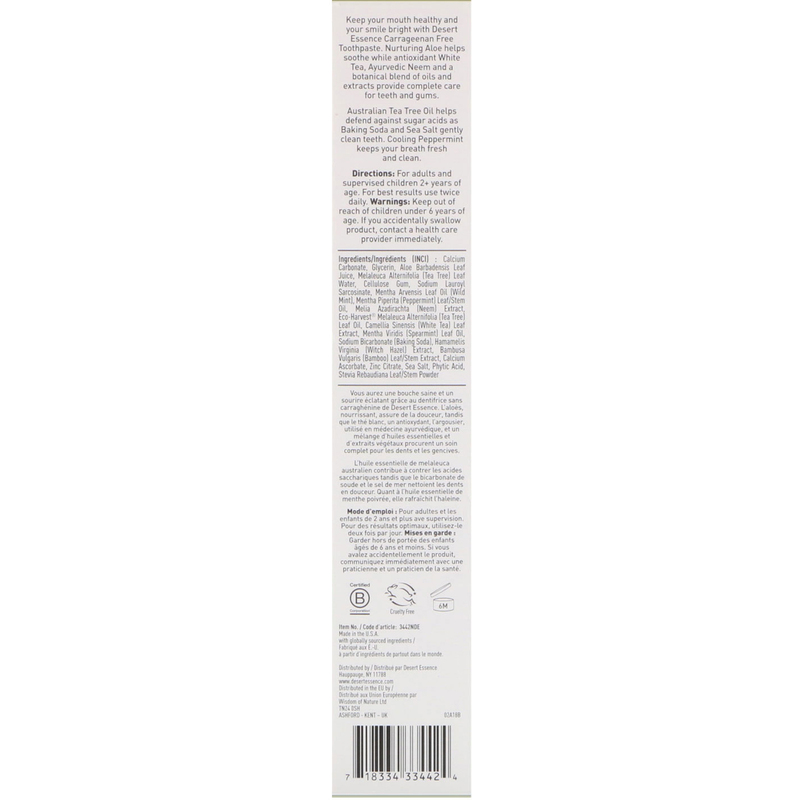 Nurturing Aloe helps soothe while antioxidant White Tea, Ayurvedic Neem and a botanical blend of oils and extracts provide complete care for teeth and gums. 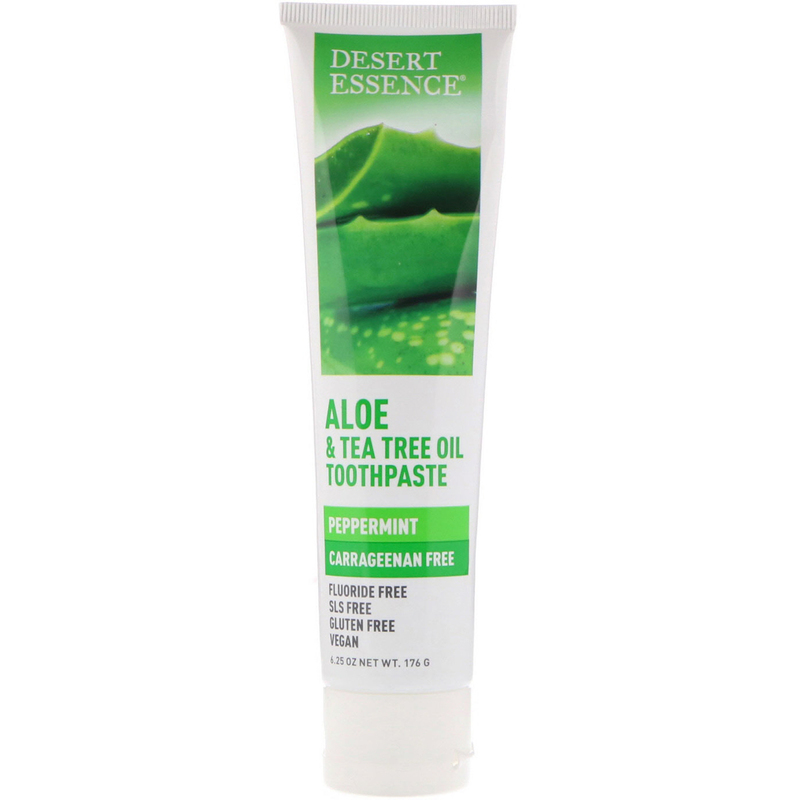 Australian Tea Tree Oil helps defend against sugar acids as Baking Soda and Sea Salt gently clean teeth. Cooling Peppermint keeps your breath fresh and clean. Calcium carbonate, glycerin, aloe barbadensis leaf juice, melaleuca alternifolia (tea tree) leaf water, cellulose gum, sodium lauroyl sarcosinate, mentha arvensis leaf oil (wild mint), mentha piperita (peppermint) leaf/stem oil, melia azadirachta (neem) extract, eco-harvest melaleuca alternifolia (tea tree) leaf oil, camellia sinensis (white tea) leaf extract, mentha viridis (spearmint) leaf oil, sodium bicarbonate (baking soda), hamamelis virginia (witch hazel) extract, bambusa vulgaris (bamboo) leaf/stem extract, calcium ascorbate, zinc citrate, sea salt, phytic acid, stevia rebaudiana leaf/stem powder.